This is the second article in a four part series on our experiences with real estate transactions. It’s much longer than usual, but felt it was important to keep the story in one piece. The opening article is Home Ownership: Our Experience. Mr. Boomer and I tried living in the Midwest near my family briefly, but he’s a native Southern Californian and didn’t take to winters (which is a nice way of saying he hated it). We had rented out our home in California and that made it easier to return. One of my stipulations when we moved back was that I wanted to live close to work. That meant we’d sell the first home Mr. Boomer bought and was emotionally attached to. I don’t blame him. Between the two of us we raised five kids there and had lots of memories. Now that the last one was an adult (but still with us), it was time to downsize and cut the commute. We had an idea what homes around us for listing and selling for (this was during the height of the real estate boom) as there was a lot of activity. One agent was eliminated from consideration because she was overly optimistic with suggested pricing. With all things equal for the other two, we went with the one that was most personable. We’d need her sunny personality as the process went on. We waited until Spring to show the home as historically it’s a better time of year to find buyers. In retrospect that was a mistake because the real estate market was starting its descent. During that time we made repairs, spiffed up the yard and had it professionally cleaned (including the windows which I hate to do). The showings started and we dealt with removing our pets and selves each time someone wanted to see the house. We had open houses and realtor caravans. But it didn’t sell. We dropped our price…more than once as the days passed and showings stopped. We learned that not all realtors are professional or have good manners. Even though the listing indicated they should call ahead agents just stopped by making us scurry and then endure the comments made about our home. After three months we got two offers within one day. But they were not good offers. They were in the price range of a short sell or foreclosure which unfortunately these buyers were using for comparison. We made counter offers which were both turned down. One of these buyers came back a few weeks later with another offer that we accepted after some teeth gnashing and a couple of counter offers going back and forth. I’ve been in a few real estate transactions with my first husband and had never experienced some of the crazy things that happened with this one. The deal was off not once, but twice. A few weeks before the scheduled close, the buyer (who is a licensed real estate agent) told us he wouldn’t complete the transaction unless we dropped the price $10,000. His approved loan was for that much less than the agreed upon selling price. We were outraged. Our first instinct was to say, “hell no” and cancel the sell. 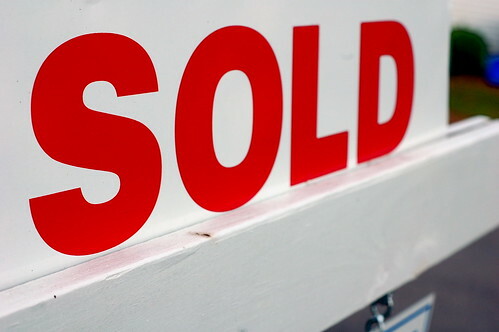 The cooler head of our agent prevailed and she negotiated with the agents involved with this transaction AND the transaction we were involved in as a buyer to give up some of their commissions. All together the four agents coughed up enough to cover the $10,000 difference. Okay, we moved on and everything was on schedule. We put in change of addresses, arranged for utilties to be turned off and packed all our belongs. The day of closing we found out the buyer’s lender would not fund. He had a stated income loan and these were no longer being used. The deal was off which meant our purchase was off as well. To make a long story short (I know..too late) the buyer eventually got a loan funded and the transaction closed. Thirty years after Mr. Boomer bought the house, it was no longer home. Yep, only bottom feeders out there and they make your life hell. If you can avoid selling right now, I think that’s the best option. $6,500 credit is not going to make up for the loss of money upon sale to a bottom feeder. .-= SpiritwealthÂ´s last blog ..Do you care? =-. Spiritwealth, we were buying in the same market so it worked out alright. I agree that now is not a time to sell unless you absolutely have to do so. Thanks for stopping by. .-= Mrs. MoneyÂ´s last blog ..Itâ€™s the Small Things Too =-. Craig, yes we do! Let’s agree that there are two most adorable babies. Sounds like 2009 was pretty good to you!